Beery knows problems can arise 24 hours a day, which is why we offer 24 hour emergency service 7 days a week. 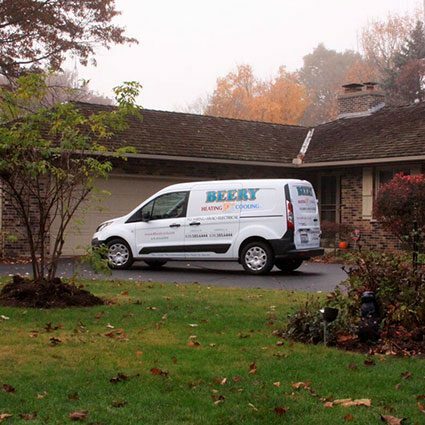 Beery has been providing service for over 30 years, and delivering 100% guaranteed satisfaction. Just give us a Call! Our Universal Savings Agreement program entitles its members to two semi-annual cleanings (one in the fall for heating equipment and one in the spring for cooling). Our office staff or any service technician that comes to your home will gladly answer any additional questions you may have, so please give us a call. Provide us with a set of blueprints for your new home, and we will take it from there! A new construction estimator will then provide you with a written detailed proposal of the HVAC design for your new space, taking into account all your personal preferences, needs, and budget for heating, cooling, humidification and purification. Our comfort consultants are always abreast of the newest technologies in the heating and cooling world, and we’re ready to build your new home.